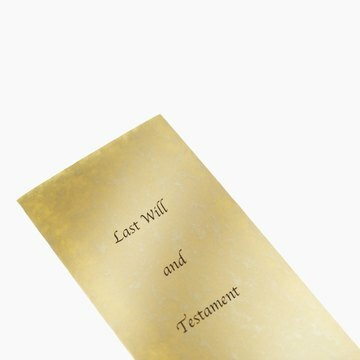 A last will and testament is a legal document that describes how you want to allocate your assets, property and belongings after your death. While the laws regarding last wills and testaments vary from state to state, reading up and following the laws of your state will ensure the validity of the documents. In general though, there are some basic requirements that govern the drafting of all last wills and testaments. According to the Uniform Probate Code, which has been adopted by most states either in full or in part, any individual can make a last will and testament if he is over the age of 18 and of "sound mind." "Sound mind" means that the person making the will, called the "testator," must be able to understand the full meaning and effect of the document at the time of the signing. In general, last wills and testaments must be written. Most people use typed or printed templates for their wills, but some states allow for handwritten or "holographic" wills if the document is signed by the testator and the material portions of the document are in the testator's handwriting. Basic provisions of a last will and testament should include the naming of an executor who will be responsible for executing the will, an alternate executor in case the first choice is unable or unwilling to carry out his duties, the wishes of the testator in regard to burial or cremation, specific bequests to heirs, and information regarding payment to creditors and any charitable donations. If necessary, a last will and testament could also include the naming of a guardian for any surviving children of the testator. Last wills and testaments must be signed by the testator and witnessed by at least two individuals; the requirements vary by state. Depending on the state and the form of the will, the document may also need to be notarized. Neither the notary nor any beneficiaries to the will should serve as witnesses to the will to avoid any implication of undue pressure or influence on the testator. Besides signing the will, which is required in every state, it is also a good practice for the testator to initial and date the bottom of every page of the document. When a person dies, his estate, comprised of all property acquired during his lifetime, will be distributed to his heirs and beneficiaries. In Maryland, property passes in accordance with the state's inheritance laws. These laws provide guidance for estates passing by will or through intestate succession, as well as nonprobate assets. Beneficiaries are determined by how the deceased's estate is set up. To ensure your property is distributed to your friends and family the way that you intend, consider drafting a last will and testament. A will, also referred to as a testament, is a written document that describes how you want your property distributed upon your death. The document is referred to as your last will and testament because it is the last document of its kind you draft before your death. In Virginia, there are several things you must complete before a court will recognize your will as valid. Is Amending Your Will Yourself Legal in Iowa?